All 31 of the award recipients remind me that every day our lives are touched and communities impacted by ordinary individuals doing extraordinary things. I’m so proud to be part of this event that makes it a priority to call attention to the contributions of these uncommon people. Even if they might not know it, they are living and acting in a Red Shoes way. Congratulations to all the British Citizen Award-winners, but especially to these six who I personally presented medals to. These are just six of the heroes who are brave enough to put themselves out there and make a real difference in this world. 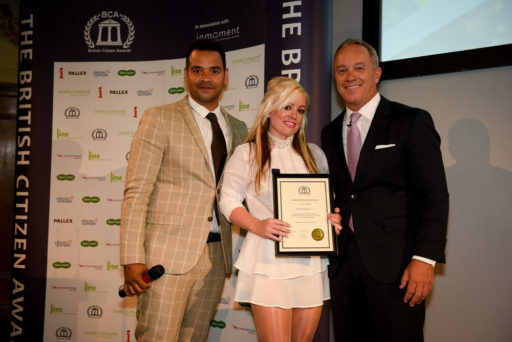 When Fiona battled cancer, she gained a keen awareness of how important life’s little luxuries are. Things most of us take for granted, such as a having dinner at a restaurant or a day out with family, became much more challenging after her cancer diagnosis. It wasn’t just the emotional and personal burdens that took a toll, it was also the financial strain. 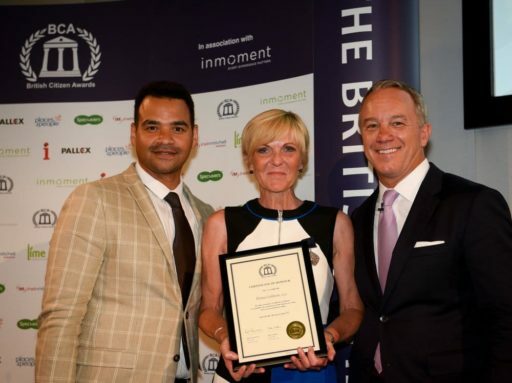 So, even while battling the disease, Fiona and her husband Andy started Something to Look Forward To, a charity that provides free gifts and experiences to improve the lives of people affected by cancer and cancer poverty. To date, the charity has given out more than 400 gifts and experiences and impacted more than 800 people and their families. Jag devotes all of his spare time—often 50 hours a week—to making a difference in his community by raising funds and awareness for those in need. This father of three and full-time employee is passionate about others. 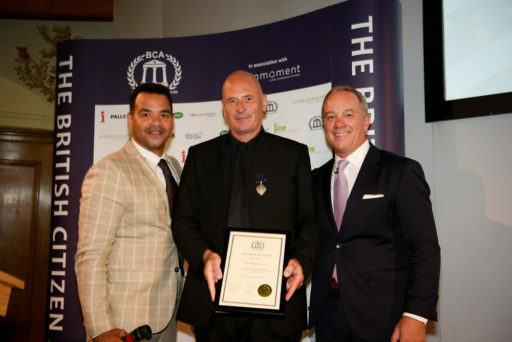 Jag rolls up his sleeves to help with any task necessary for some of his favorite causes including Watermill Dementia Daycare Centre, Compton Hospice, The Air Ambulance, Cancer Research UK, Breast Cancer Awareness, Macmillan Cancer Support and Mana Soup Kitchen. Last year, he helped raise funds quickly so a local teenager who suffers from severe cerebral palsy could purchase a specially adapted bike. Many people in Kelly’s shoes wouldn’t expend energy and time to make the world a better place. But Kelly isn’t most people. Kelly has her own personal struggles and suffers from extreme Obsessive Compulsive Disorder (OCD), hypothyroidism, ME and was the victim of serious domestic violence. Kelly is an inspiration and doesn’t let anything get in her way. She escaped the abusive situation and now helps other victims at domestic violence centers and through a Facebook group, is an advocate for BulliesOut.com, is the UK ambassador for The Dream Foundation of Uganda, a model and advocate for Models of Diversity (MOD) and was also a star on the TV show, Obsessive Compulsive Cleaners. She dedicates her time to all of these to raise awareness of the realities of others. Chris founded Care Highway with a mission of Compassion with Common Sense to help in areas of the world where people suffer or are in great need as a result of man-made or natural catastrophes. Chris started his efforts in support of Bosnia, but the organization’s reach has expanded to five continents and the poorest communities of the world. His commitment to making a difference has never faltered, even when he was beaten and left for dead while on a mission in war-ravaged Serbia. That experience strengthened, rather than deterred his resolve. He secures donations, sponsorship and volunteers for his humanitarian expeditions. Ben’s mission is to restore the once-forgotten art form of oral storytelling, which had almost disappeared from England in the 1980s. He is the founder and artistic director of The Crick Crack Club and as such works tirelessly to ensure the rich and often unknown heritage of the world’s oral traditions can continue to be enjoyed. He’s the co-founder of Beyond the Border International Storytelling Festival, Honorary Professor of Storytelling at Berlin University of Arts and is an accomplished performer. He gives his time freely, despite having his own career and family, and supports children and young storytellers in his pursuit to advocate for the art form. Even while juggling a busy dental practice, Dr. Mackenzie dedicated time to several causes to benefit his community of Lymington since 1981. He is a respected member of Lymington for fighting for what he believes in and getting things done. He’s taken on several community roles such as a volunteer with the Lymington Society Committee, relaunching the Chamber of Commerce and is currently the chairman of the project to restore the Walhampton Monument to Admiral Sir Harry Burrard Neale-Lord of the Admiralty. Dr. Mackenzie has given generously to St. Barbe Museum and the Solent Music Festival as well as sponsoring local sports clubs and many cultural events. 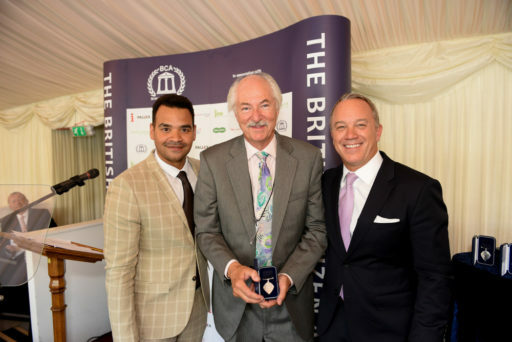 What an absolute honor it was for me to take part in the British Citizen Awards again this year. While it’s so hard for me to put into words the emotions of the day, I hope I can translate a bit of it for you here. 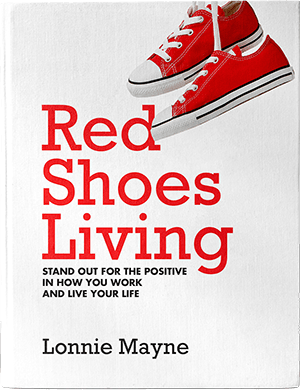 I continue to be amazed by the leadership I meet in high positions that have figured out Red Shoes Living. One of those leaders is 80-year-old Lord Dholakia, the president of the Liberal Democrats in the House of Lords. I spent much of the afternoon with he and his wife Lady Dholakia, and they took me to the House of Lords, which is the second chamber of the UK House of Parliament where I was treated with incredible kindness and respect and given special access to the Palace of Westminster, where Parliament was in session. As we walked around on my private tour where I listened to a debate in the House of Lords, I noticed that Lord Dholakia exhibited each one of the five pillars of Red Shoes Living—Awareness, Gratitude, Respect, Everyone Has a Story and Put Yourself Out There. He was so gracious. When you meet a leader like that it’s incredibly powerful. Everyone smiled when they saw Lord and Lady Dholokia enter a room. We were supposed to spend about an hour with them but ended up spending more than four hours and eventually ended up in his chambers to have a real Red Shoes Living talk and interview. It was here that I realized what a powerful and special man Lord Dholokia is. Always treat people with respect. Don’t live here (he pointed to the tip of his nose), live and set your dreams out there (he pointed outwards to the end of his arm). Always rely on yourself to do things as if no one was helping you. Don’t rely on others. Be independent, and do what you think needs to be done. 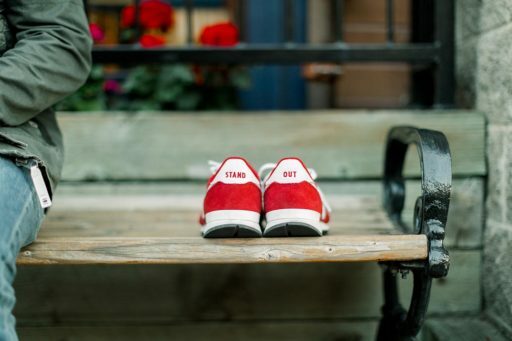 In a world of noise and politics and disrespect, Lord Dholakia is a charismatic leader who absolutely exudes a Red Shoes way of standing out in the most positive way. He talked about how everyone deserves respect regardless of title, financial status or experience. At 80 years old he is still putting bills through and he is changing lives one person at a time. He works from 8 in the morning until midnight almost every single day and states that what he does doesn’t even feel like work. That is the key to building a Red Shoes Culture and that is exactly what Lord Dholakia has done. People often stop into his office and sit at the very table I was at to ask questions, solve problems and simply to be respectfully heard. He is grateful to do it all. I will never forget this day and will always be grateful for such a positive leader who understands that at the core we are all human beings. 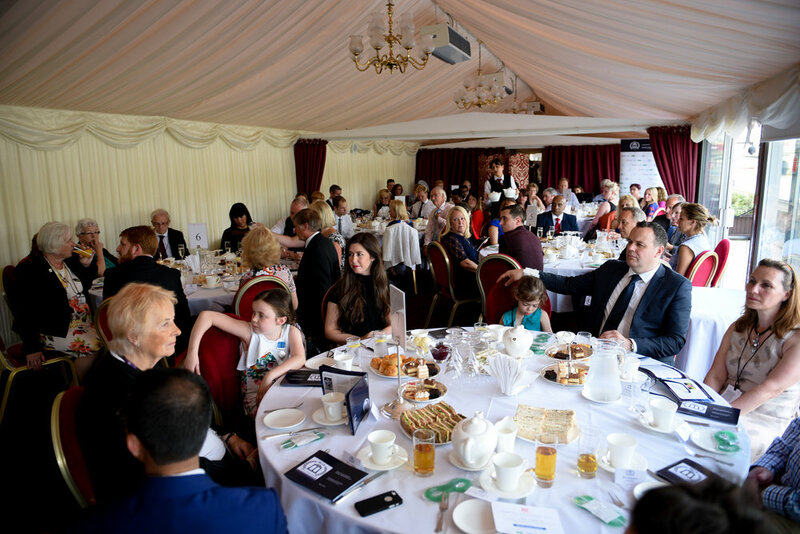 After spending the afternoon with Lady and Lord Dholokia it was time for the official British Citizen Awards medal ceremony where we handed out awards to 31 amazing and incredibly deserving individuals—each one of them heroes I would follow anywhere. This celebration took place at the Palace of Westminster at the water’s edge of the Thames River. 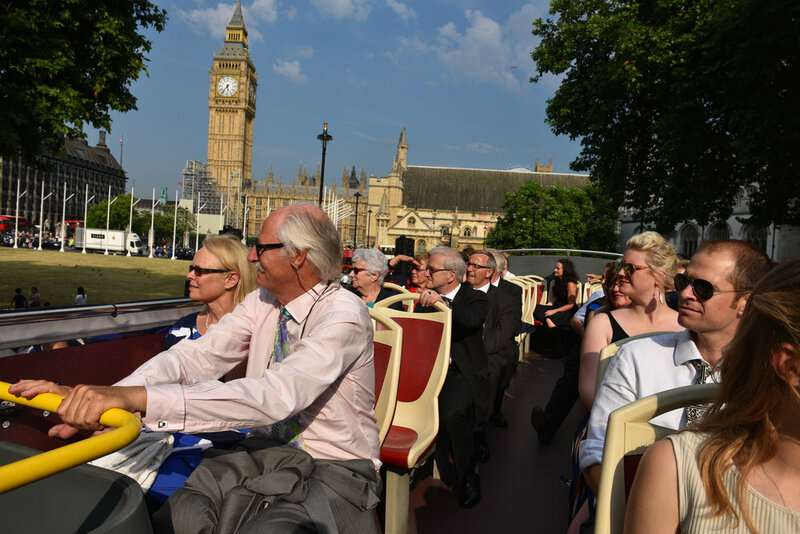 After that, we boarded tour buses outside the Palace of Westminster for a “Lap of Honour” for all of Britain to see these distinguished British citizens who make a difference every single day. 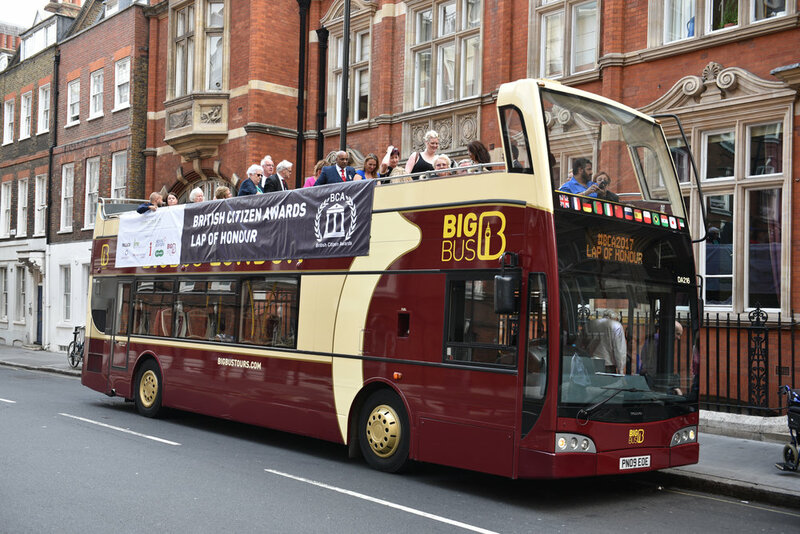 Our tour ended at the iconic Church House, where the extended families and friends of the British Citizen Award-winners joined us. It was my favorite part of the evening, because you get to hear the personal stories of each of the award winners as they share a bit about what receiving the award means to them. It’s an emotional evening hearing about these incredible acts of service and in every case each recipient is humbled to be there and none of them feel as though they are any different than any other human being—but they are. 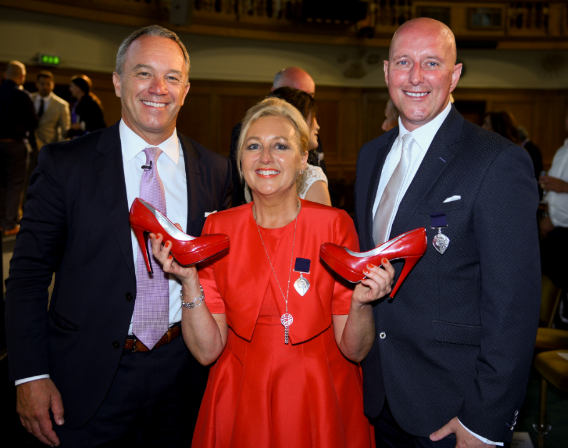 In Church House I was given the unique opportunity to present Red Shoes to the award winners and their friends and families. It was my my fourth time presenting here and it is the most humbling presentation I give all year. These are the individuals that actually live the Red Shoes Pillars like no other. It’s a humbling and even intimidating experience for me. One of those people was David Campbell who has played at the highest level of professional soccer and told me what it was like to play in front of 90,000 people at the World Cup. He went on to tell me that on that day his dad was in the audience and even though he played well his father reminded him there is always room for improvement and improve David did. 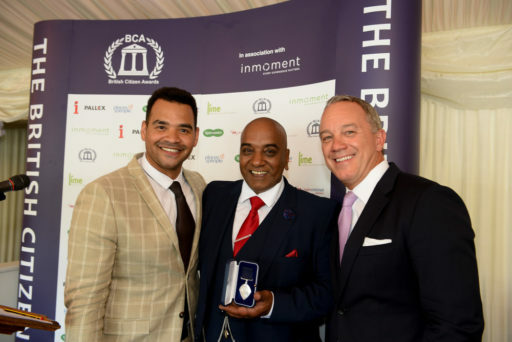 David was a recipient of a British Citizen Award. 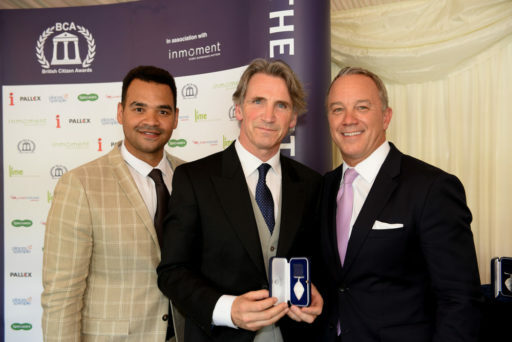 He was honored for his work with kids in his soccer schools and coaching courses across the UK making a significant difference in so many lives. Turning boys and girls into young men and women into leaders and men and women of respect. 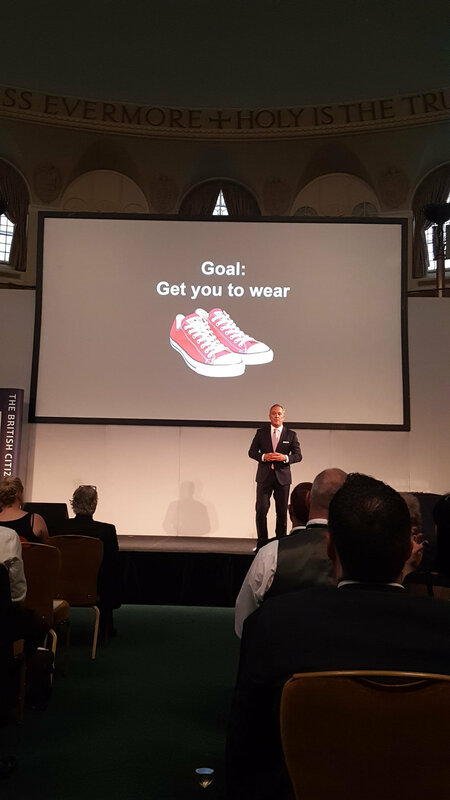 After my presentation he shared with me that he realizes now that he has always lived the Red Shoes philosophy. I listened to his wife talk in such admiration for her husband and the service that he has provided since those days of playing in front of 90,000 people. David and his wife are the kind of people that just want to make you become the best version of yourself. I could go on and on, but what I want to get across is that becoming the best version of ourselves is what this is all about. Turning that version into a force for good in the world is the ultimate outcome. The world needs more of this and the world needs more of all of you. What will remind you to stand out in the way that you work and live every day? 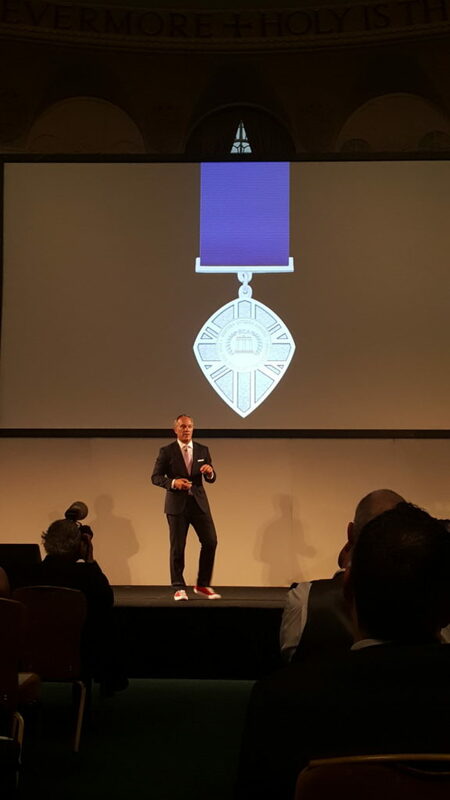 For me, Red Shoes remind me to stand out in the way that I work and live every day, but for these beautiful British citizens it’s the prestigious medal they were awarded that stands out. May they wear this medal daily as a reminder to the humble service they do each and every single day to make people’s lives just a little bit better. 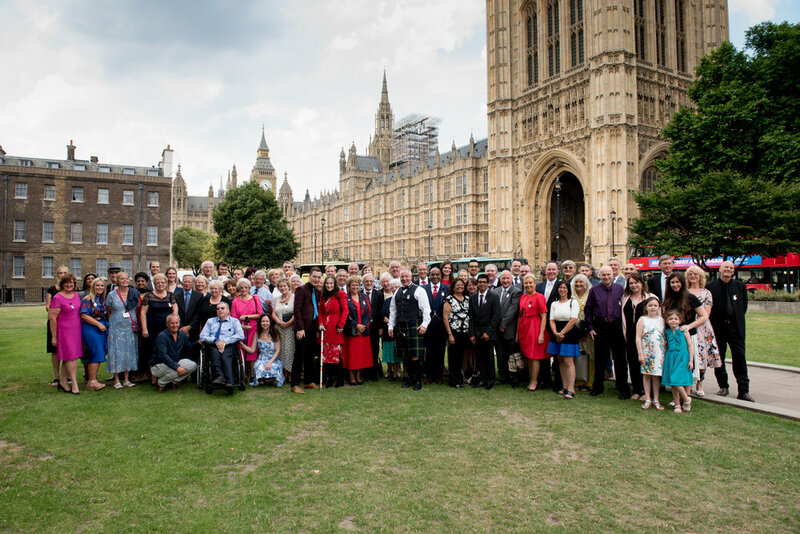 From across the pond I thank all 31 of you and I am grateful to have been part of your celebration. 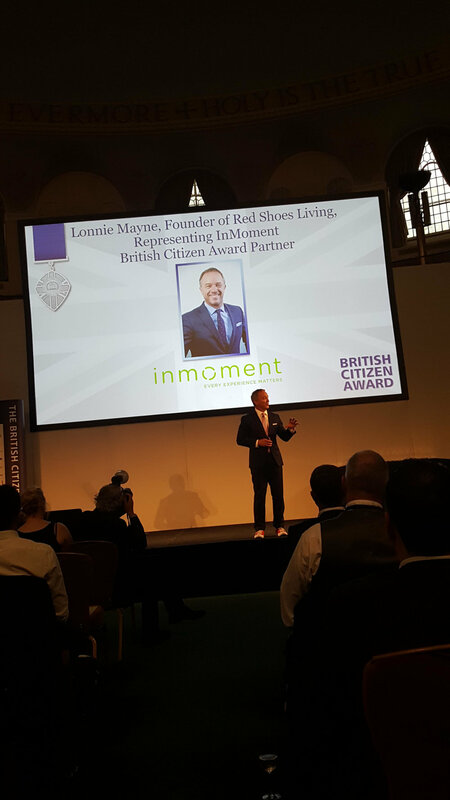 Keep wearing the medal and keep living your life in a Red Shoes way.